Flaws in Apple's App Store have made the updates to well over 100 apps completely unusable, creating headaches for both developers and users over the holiday. Apps affected become unusable and crash immediately upon setup, according to reports. Apple has not acknowledged the issue, but it is believed to have something to do with updates the company made to its app-updating mechanism. Some developers have reported that users are now able to successfully update apps, so it appears that the issue is being fixed. 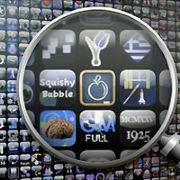 Here's what you need to know about Apple's App Store mess. At least 100 apps updated between July 3rd and July 5th are believed to have been affected. Three major apps--Instapaper, Angry Birds Space HD, and Angry Birds Space Free--reported issues, along with a host of others. 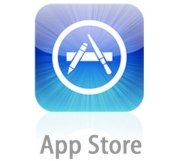 Apps downloaded between July 3rd and July 5th are not necessarily affected--apps are only affected if the developer submitted, and had approved, an app during that period. The issue affects both iOS and Mac apps. With iOS apps, the screen will fade to black and crash immediately upon startup, returning you to the homescreen. With Mac apps, an error message will appear, stating that "[App] is damaged and can't be opened. Delete [App] and download it again from the app store." If you are upgrading apps through iTunes, iTunes may pop up error 8324 or 8326 while attempting to update your device's apps. If you have a corrupted app on your device, you must delete it and reinstall it to fix the issue. If your app contains data that may be lost in the event of app deletion, you can follow these instructions from the developer of iPad app Goodreader to save your data. Fair warning: these instructions are a bit intensive and require backing up your device. The issue appears to be getting fixed, though Apple has yet to confirm this publicly. Therefore, it's recommended that users with affected apps wait a couple of days before reinstalling said apps.